So I have this tree in my yard that I have been trying to ID for sometime and so far neither the internet, nor any close friends/family, have been able to help me figure out what this tree is. 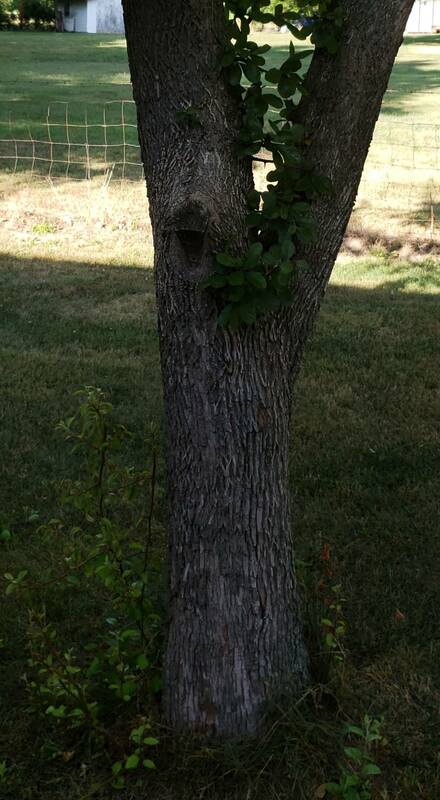 The tree is located in Missouri. It has oval, smooth, leaves with small clusters of green balls (these these eventually produce very very small, maybe 2-3mm, fragrant white flowers- which bees seem to just love). If anyone could help me solve this mystery it would be much appreciated!! 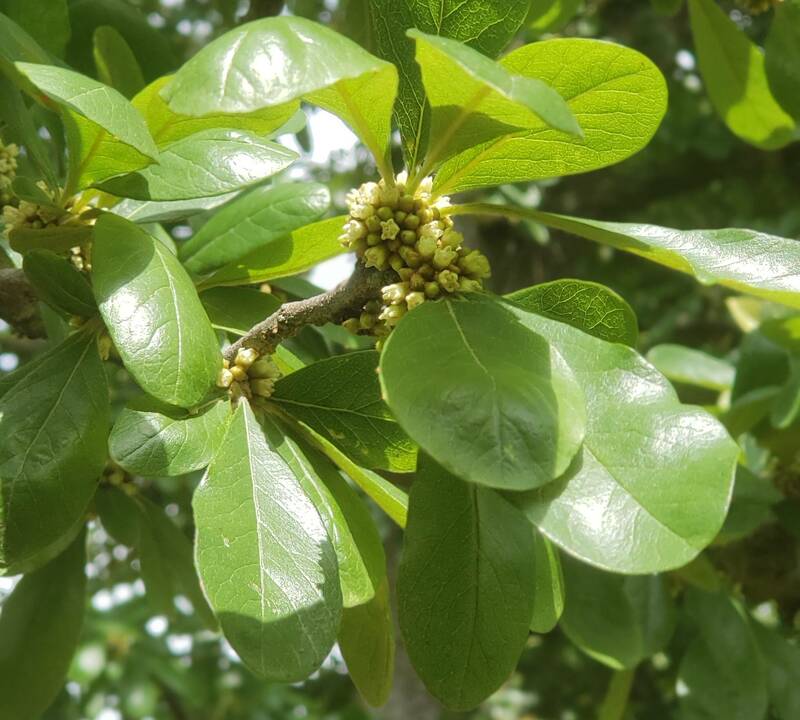 The newly added photo taken of the flowers alongside the elliptic leaves and the bark characteristics allowed for identification of your tree species as Sideroxylon lanuginosum. It has several common names - Chittamwood, Gum Elastic Buckhorn, and Gum Bully to name a few. It seems like a very interesting tree, but not much detailed information seems to be included with most of the picture descriptive links below. It is native to the southeastern U.S. and northern Mexico. Can anyone help me to identify this plant? What is this wildflower with clusters of very small pink buds which open to white flowers? Can anyone identify this fruit-bearing tree? Can anyone help identify this beautiful succulent?